At Tettra, we strive to build a product that is simple, smart, and connected. We want to help you use the tools you already rely on but use them in faster, more effective ways. The GitHub integration is a cornerstone of our connected philosphy. It's available on all plans and is included in the price of your Tettra subscription. Log into your account and go to the dropdown in the top right. Within "Team Settings", go to "Integrations", and click the “Connect GitHub” button. This will take you to a GitHub page. Within a Tettra page, type # and then begin typing the name of the GitHub issue you want to reference. We’ll search within GitHub (both titles and content,) to give you options for possible issues. Select the one you want. When you, or someone on your team, looks at that page, they'll see the GitHub issue embedded. Clicking on it will take you to that issue within a new tab. The icon will be green if the issue is open and red if it's closed. If you hover over the embedded issue, you’ll be able to see meta information like labels, timestamp, and the number of comments on the issue. We automatically pull in the latest changes, so the embedded link will always be up-to-date! 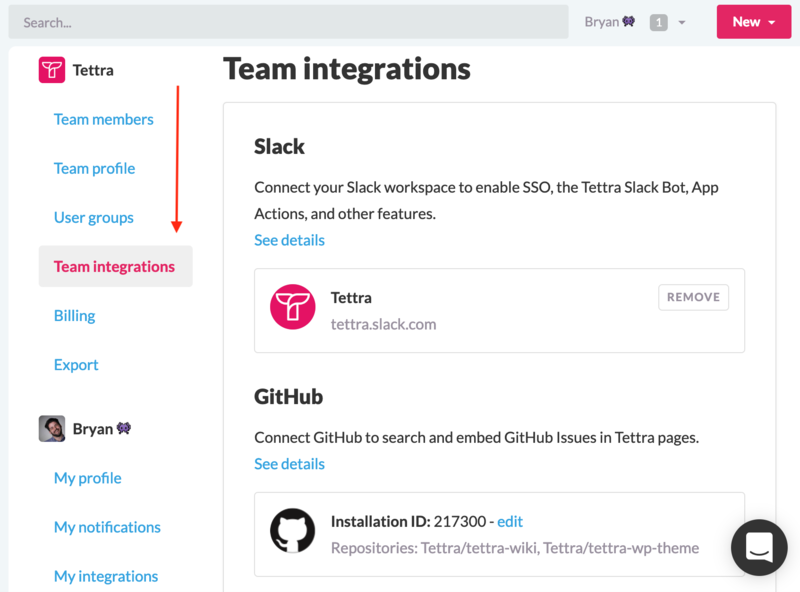 If you'd like to disconnect the Tettra GitHub integration, you can do so from your Team Integrations page. Navigate to the page, select "edit" next to GitHub, then disconnect the integration from within GitHub. Please note that you'll also need to be an admin in GitHub to make this sort of change. 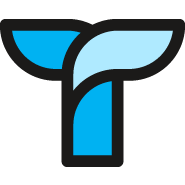 In case you're curious, we built this to make life easier for all the product and engineering teams that rely on Tettra. So much of an engineering team’s work takes place in GitHub: it's where we build the product, keep track of bugs, and log new features we want to build. 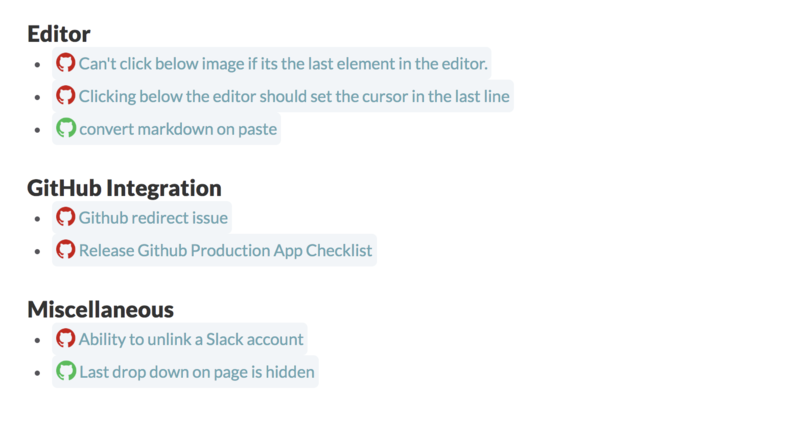 Instead, we wanted to have all the right info in one place without having to duplicate work. 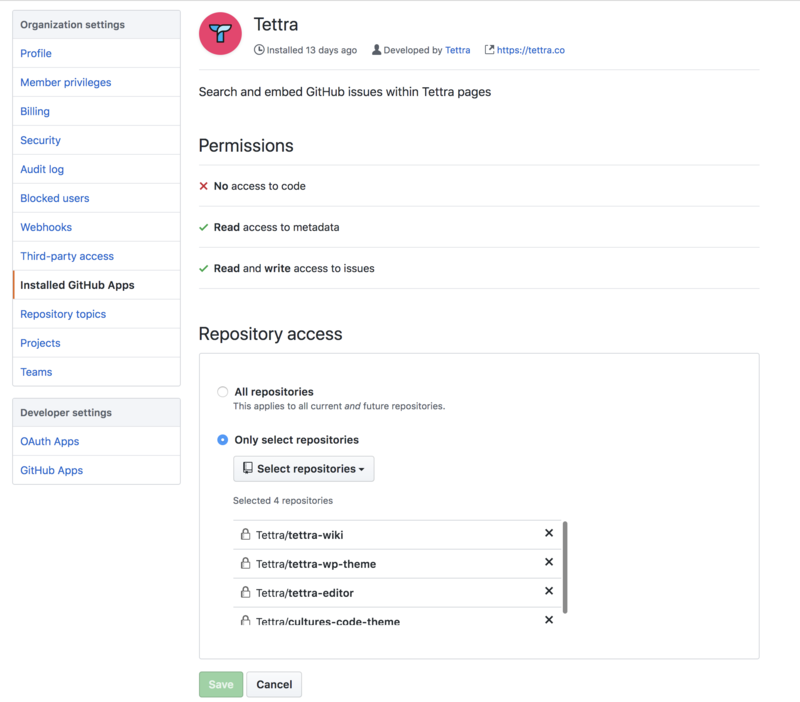 We wanted to be able to easily search and embed GitHub issues within Tettra pages. And so, we decided to solve this once and for all! Please let us know if you have feedback on this integration or on how you use it.